As I wonderfully pray for my unborn grandchild, I hold close to my heart the words in the Psalm of David. What we cannot see, God can see so perfectly. 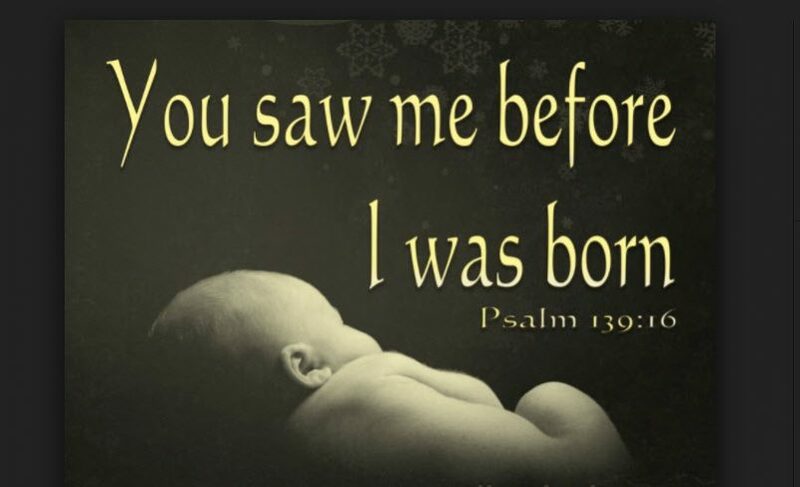 That fact that God knows and cares for children in the womb means that God’s concern for life begins at conception. It means that God’s people have a responsibility to also know and care for children in the womb. It also reminds me of my son, Craig, verse 16, “all the days ordained for me were written in your book, before one of them came to be”. God’s perfect knowledge extends not only before you were born, but also for all the days of your life. God blessed our family with Craig’s life, we look forward to the blessings God will provide with our grandchild. God is good!